Ally McCoist is one of the most recognisable figures in Scottish Soccer and his performances as a Soccer analyst and TV quiz show captain have only enhanced his reputation as a witty, bubbly personality who is a top choice for any event where an entertaining Soccer speaker is required. McCoist began his career with St Johnstone in 1979 before a brief spell at Sunderland ended in a transfer back north to join Glasgow Rangers in 1983. In the 15 years McCoist spent at Ibrox as a player, he collected ten championship medals, became their top goal scorer of all time with 355 goals and was Europe’s leading goal scorer for two seasons in a row, the first time any player achieved such a feat. McCoist counted a number of world-class players as teammates during his playing days at Rangers, including Terry Butcher, Paul Gascoigne and Brian Laudrup. McCoist began his managerial career as a member of the Scottish national coaching staff in 2004 before working with Walter Smith at Rangers as assistant manager between 2007 and 2011. He took over as Rangers manager in the summer of 2011. 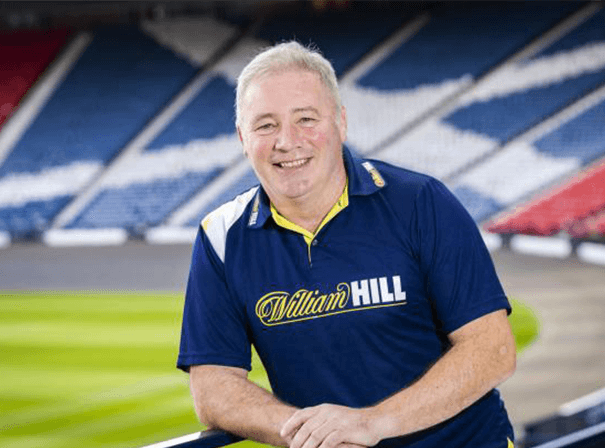 Over 10 years as a captain on the BBC’s A Question of Sport brought McCoist’s innately warm, jovial character to a larger audience and he is now widely-recognised as one of Britain’s top sporting personalities. His lively character combined with the Soccering experiences and insights he has gained in over 30 years in Soccer make him a fabulous after dinner speaker.